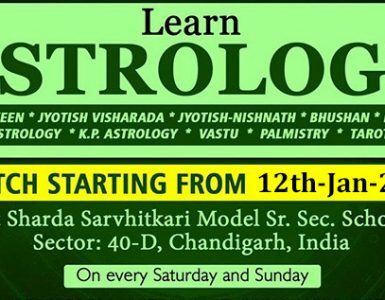 New Batch of Astrology classes in Chandigarh Chapter of Indian Council of Astrological Sciences (ICAS) will start from 12/01/2019 . Come and join for Astrology , Vastu , Palmistry , Neumrology , Terot Card , KP , Nadi Astrology. Sir welcome to astrogurukul ?